I go walking in my sleep…sorry, got side-tracked for a minute there. Back to the wine. What do you get when you mix 68% Cabernet Sauvignon, 16% Petit Verdot, 13% Merlot, and 3% Malbec? 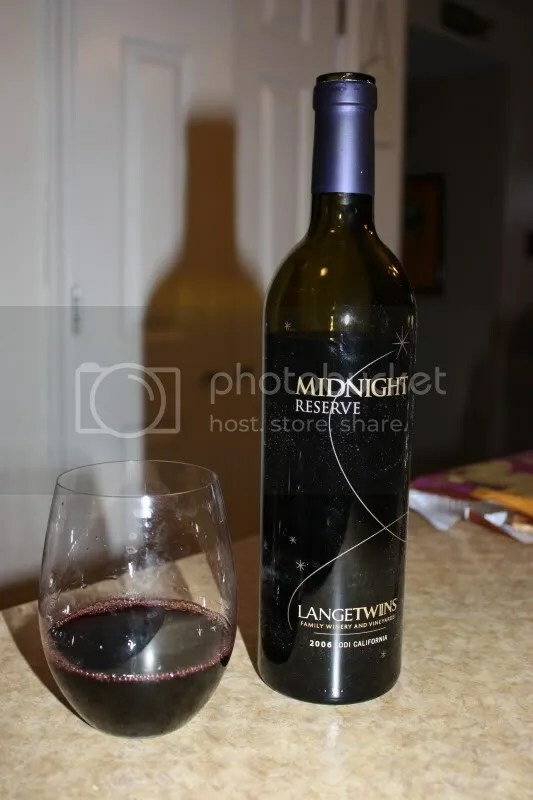 The 2006 Langetwins Midnight Reserve, for one. This vintage retailed for $30, though it is sold out, had a real cork closure, and clocked in at 13.62% (very specific there) alcohol by volume. On the nose I found juicy blackberry, pepper, cinnamon, dark chocolate, coffee, and black cherry. I’m batting a thousand lately for wines I just want to sit back and enjoy sniffing. Especially with that coffee note. Yum. In the mouth I got coffee beans, espresso, chocolate, blackberry, black cherry, spice, and pepper. This wine is drinking quite well at the moment, I’d definitely open up a bottle if you have some. I did…being pregnant sort of put a damper on my wine drinking! !